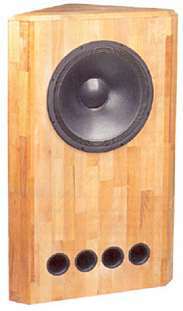 The corner subwoofer is equipped with Mivoc's latest AWX 184. This corner subwoofer is ideal for extremely high sound pressure levels. For maximum SPL K+T suggests to use two staked subwoofers in two corners.